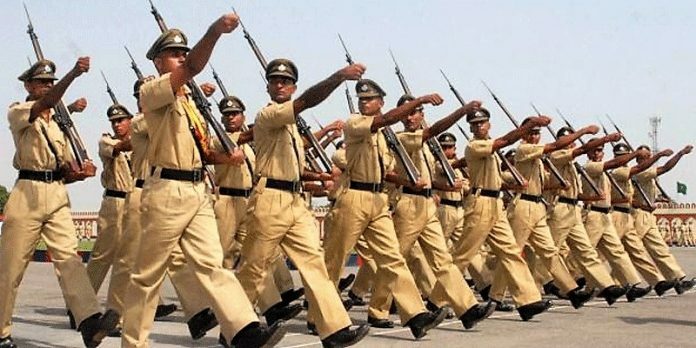 The Haryana government decided to appoint the ‘Special Police Officers’ on contract basis for a period of one year to meet the shortage of staff in the Haryana police. The govt decided to hire over 1,500 SPOs. The decision behind to appoint Special Police Officers (SPOs) was taken in a cabinet meeting chaired by Haryana CM Manohar Lal Khattar on a state home department’s proposal, an official release said. The candidates who are eligible for this position are, Former constables of the disbanded Haryana State Industrial Security Force and the Haryana Armed Police (HAP) recruited in 2004 and whose selections had been quashed earlier. The other candidates are also eligible for this post those including, the ex-constable whose age are between 25-50 years and have not been removed or dismissed from the service due to indiscipline, misconduct or lack of medical fitness. The selection of the candidates is based on the Interview by a Board headed by District Superintendent of Police. There is no written test and physical test would be conducted for the recruitment of these volunteers. The selected aspirants would be paid a monthly honorarium of Rs 14,000 that would be credited directly to their bank accounts. One time uniform allowance of Rs 3,000 for two sets would be given at the time of recruitment along with one pair of shoes and other necessary uniform articles like shoulder insignia of SPO and cap. The State govt also approved to engage 400 ex-Armymen and ex-paramilitary personnel on contract as jail wardens.